This fall marks an exciting new chapter for Thornwood High School. For the first time, the school sent golfers to compete at the state level at the 2015 Special Olympics Illinois Outdoor Sports Festival in Decatur. Marcy Mayes, a senior, was one of the golfers representing Thornwood High School. She competed in golf individual skills and earned a 6th place ribbon. She has been involved with Special Olympics at Thornwood since her freshman year and in that time Marcy has participated in several activities at the high school including cheerleading and bocce. She’s competed in state for both athletics and bowling, and is excited to add golf to that list. Thornwood High School Special Olympics Coach Mary Wimmer says she is popular with both students and staff. 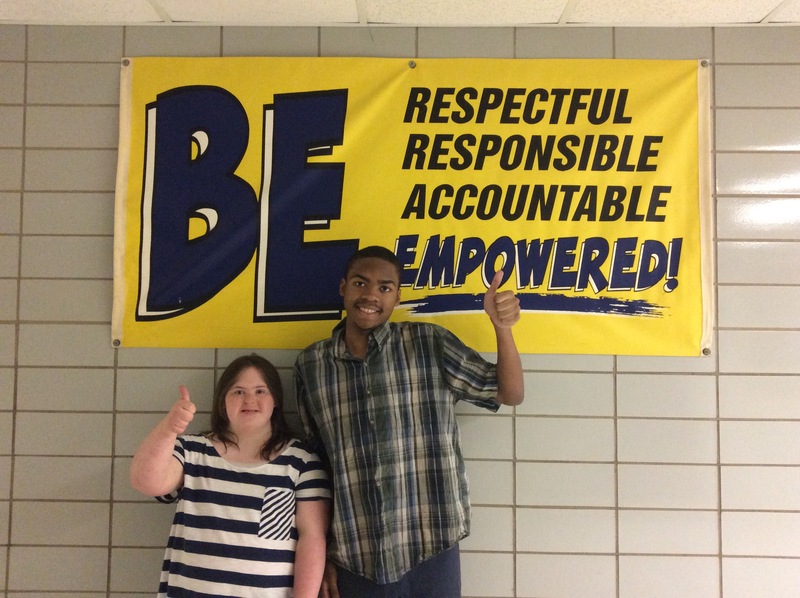 Adrian Johnson is a senior and has also been involved with Thornwood Special Olympics since his freshman year. Previously, he’s competed in athletics and bowling, and also represented Thornwood in individual golf skills. He received a bronze medal for his efforts. In addition to his athletic accomplishments, Adrian also excels in art. He currently studies ceramics and painting. “He’s a good student and works very hard in all his classes,” explains Mary.